Conservatory & Extension Blog | Who are Wintech? To ensure a building’s structural safety and ability to perform well after completion, designers need to appreciate the impact and nature of the winds in its area. The science of wind engineering looks at this and allows experts to calculate how wind affects different structures. Wintech is a global-leading organisation providing specialist advice and support and engineering and testing services for the impact of wind on a range of buildings. • computational Fluid Dynamic (CFD) analysis – this predicts wind behaviour which Is both project-specific and local. For any façade cladding design to be efficient, local wind cladding pressures must be predicted, based on project-specific wind tunnel testing. This also means that any big construction project will have the most cost-effective design. At the same time, studies of pedestrian comfort identify any potential issues at an early stage in the design process, and these can in the first instance be desktop-based, supplemented as necessary with wind tunnel testing. 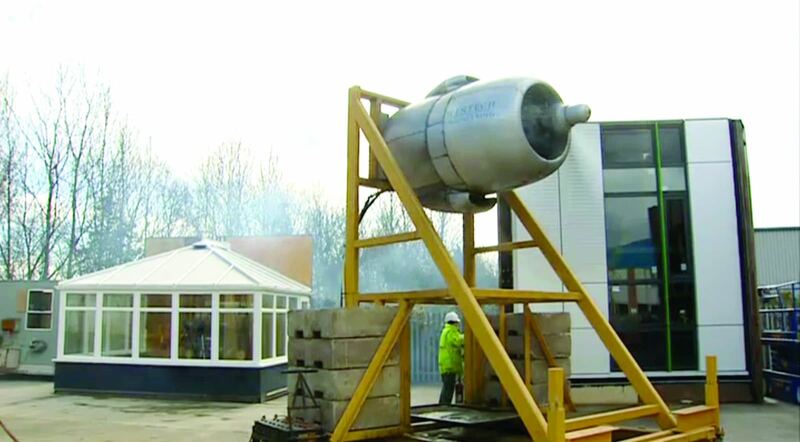 Wintech's tests have been done on buildings from Birmingham’s Bull Ring to the Gherkin in London. A conservatory which is well designed and has been well constructed is an excellent enhancement to any home. But, especially as conservatories and orangeries tend to be made from lighter materials than most houses, they need to be sturdy enough to withstand the worst that the British weather can throw at them. Independent testing is vital in terms of offering third party reassurance that the design is solid and that the workmanship is of the highest quality. In the past, too many of these structures have been shoddily built. As a conservatory roof systems company with over 30 years’ experience under our belts, we at Ultraframe approached Wintech to see how our conservatory roof fared in extreme wind load conditions, when compared with the alternatives from the competition. In fact, this was the first time conservatory roofs had been tested in this way. In particular, we wanted to assess the impact of wind uplift, looking at key roof joints and using an aero engine and positive pressure from an internal fan, attempting to blow away the roof from inside, giving a combined total wind uplift equivalent to 130mph. Our roof was more than up to the test, withstanding the maximum pressure it was possible to exert using the equipment we had available.